The Costa del Sol is a great place to hold events, meetings and business lunches. Malaga is a province with first class services for the needs of the business world, but also a destination full of energy, where having a good time is not at odds with doing business and networking. What's more, its Mediterranean character creates a perfect environment for professional relationships. Here you are some sites where your customers will be looking forward to closing that long-awaited deal. A farm or a ranch can be perfect places for holding a presentation or a social event, and the Costa del Sol has many that will put at your disposal all kinds of amenities. 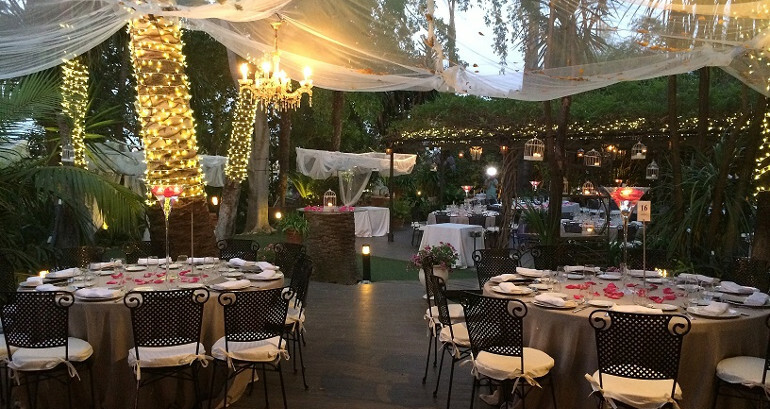 A good menu and a unique venue: The Hacienda del Alamo, in Malaga, brings together all that and more. Enjoy this palace with Business Centre and a space for art and culture exhibitions. Finca El Realengo is located in the Malaga Jardin del Retiro, one of the most important botanical gardens in Europe. With a chill out area and large lounges, it is a very quoted place for all kinds of conventions and events. And if you want your client to experience the Andalusian culture, Hacienda La Biznaga respond to your expectations. It even owns even a small bullring! This establishment located in Cartama offers a great amount of services, thanks to which your client will feel in a select environment very typical from our land. 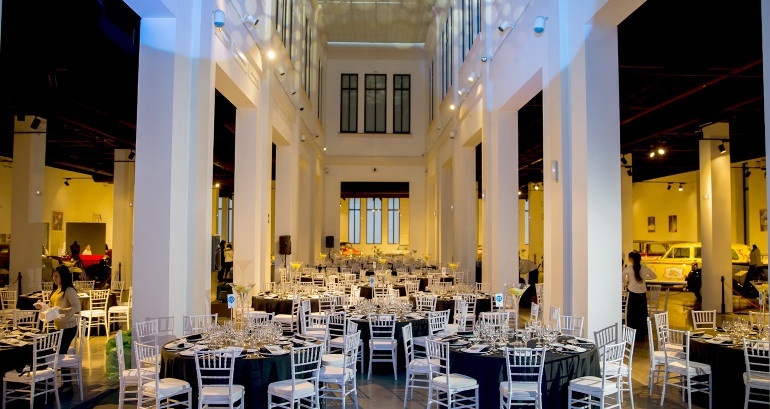 Can you imagine offering your guests a reception in an authentic eighteenth century neoclassical palace? Well in Malaga, you can also make it happen. Hacienda Nadales, with its spectacular architecture and the beauty of the garden that surrounds the palace, becomes one of the best landscaped gardens that you can find in Spain. 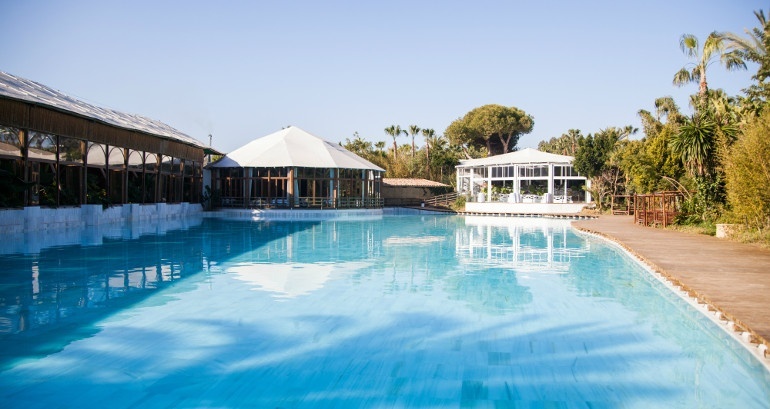 Another possibility is to impress your client by organising a stay at the Castillo de Santa Catalina Hotel, a hotel with only 8 exclusive rooms, located in a building listed as Site of Cultural Interest, with about 37,000 ft2 of gardens, lounges and terraces. The setting and views are truly fabulous. The spaces and activities to enjoy in Malaga are innumerable. Picasso Museum, Pompidou Centre, Thyssen Museum... but in addition to this, you can always surprise your client with something that comes out a bit unexpected. For example, a visit to the Automobile and Fashion Museum or to the Russian Museum will provide a wider view of the great cultural offer of Malaga. In the Costa del Sol, conquer your customers through their stomach. The quality of Malaga’s cuisine, along with the wide range of restaurants that exist, make the options many and excellent. For example, restaurants like the Strachan, in the centre of Malaga, El Gamonal in San Pedro de Alcantara, or La Meridiana del Alabardero in Marbella, are great proposals for organising business lunches. And why not add to your business lunch or dinner, musical performances and other leisure activities in places like Les Cubes Marbella, in the middle of the Golden Mile. If you prefer to bet on an extra point of originality, we propose the Mercado de la Merced, a multifunctional space that retains the personality of a traditional market, but with the incentive to include suggestive and varied food establishments, in addition to El Aula, its cultural corner. All these spaces and many more are still available on the website of the Convention Bureau of the Costa del Sol, where you can book hotels, lounges, organise your events and be informed of everything that happens in this ideal destination for business.